A few athletes have already won gold, silver and bronze medals but the race for the best Rio Olympics beauty look is still going strong and the game, is off the chain, just take a look at Allyson’s Felix braids above). But that’s to be expecting, considering some of the best beauty moments in history happened on the field. And when you remember that this special event only happens once in a blue moon, you realise just how high the stakes are in order to be crowned the beauty queen of the five rings. 1. 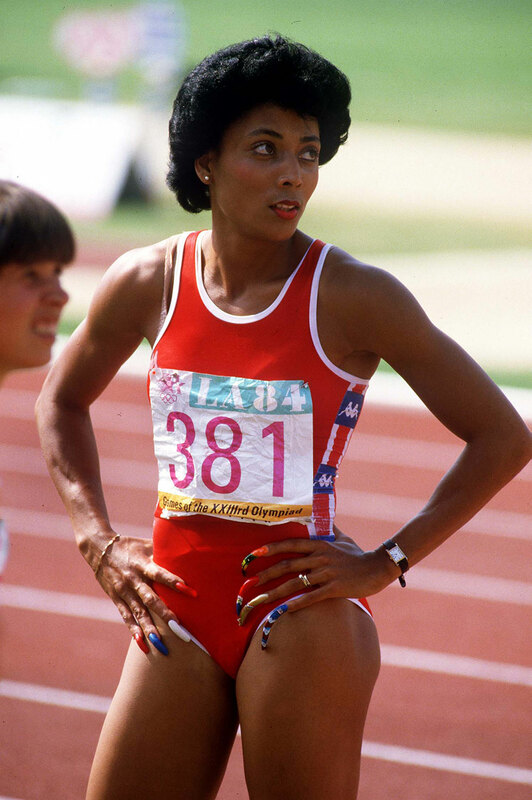 Florence Griffith-Joyner, better known as Flo-Jo, and her six-inch nails. Is it possible that they help cut through wind? We don’t know, but there’s a whole history of amazing nail art that she sported during her time as a runner. Perhaps we should crown her as the original nail art super fan? 2. 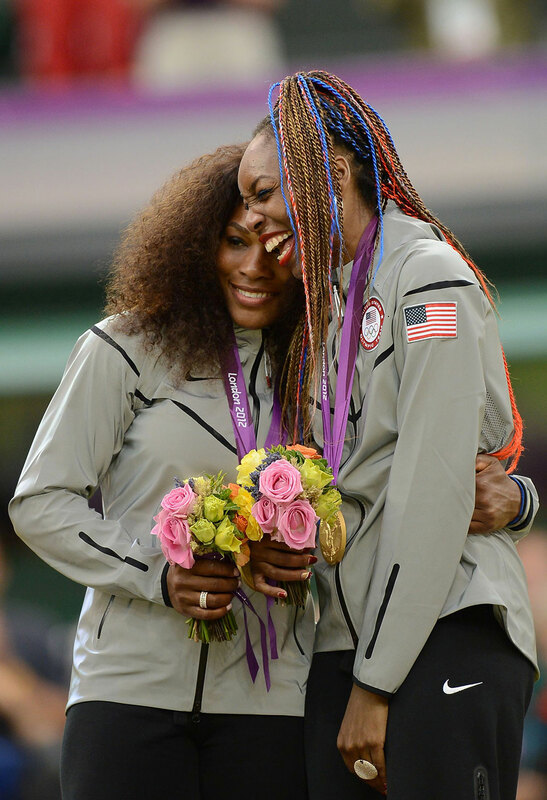 Tennis superstar, Venus Williams and those patriotic braids she sported at the 2012 Olympics here in London. We also noticed that matching blue eyeliner and the red lipstick. Get it girl! 3. Gymnast, Sanne Wevers proved that even the simplest accents catch everyone’s attention at this year’s Rio Olympics. 4. 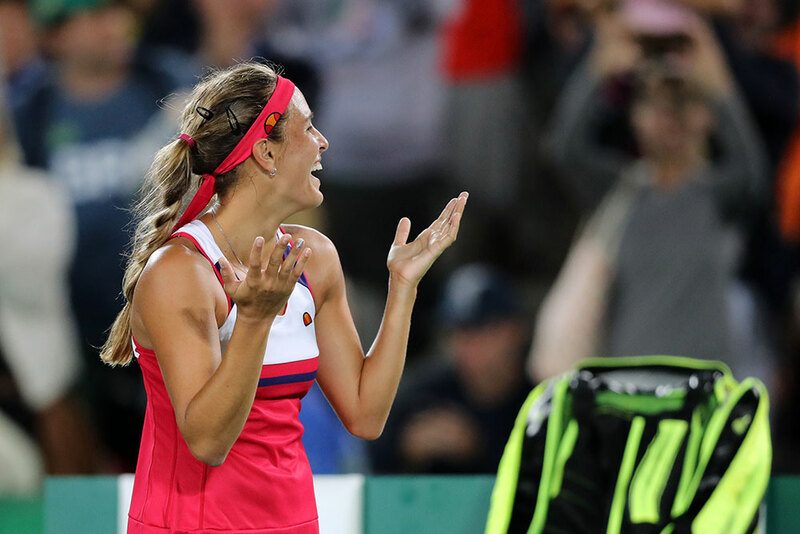 We were all head over heels for Monica Puig’s matching tennis get-up and hair accessories. The Puerto Rican gold medallist also gave us major hair envy as her hair swished around the court during the Rio Olympics. 5. 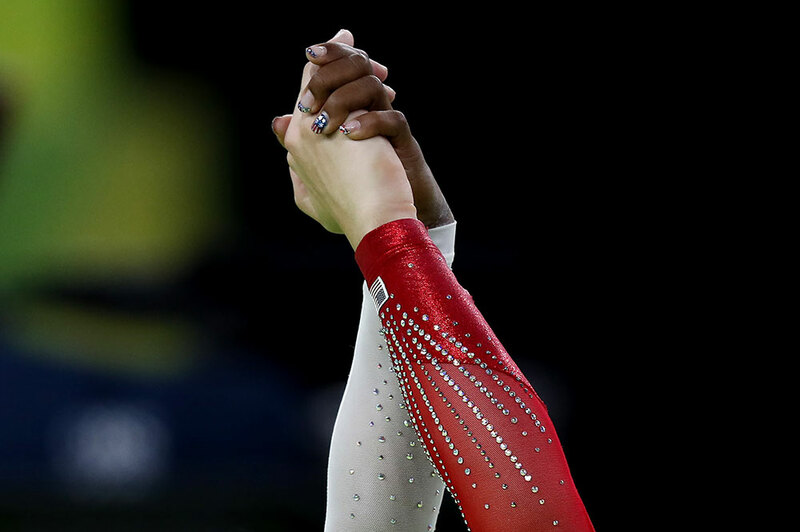 Simone Biles has been the queen of Olympic beauty. She’s had blue and red glitter eyeliner under her eyes, glitter in her hair and intricate nail designs, as seen below, during each one of her performances. We’re about ready to crown her Queen. 6. 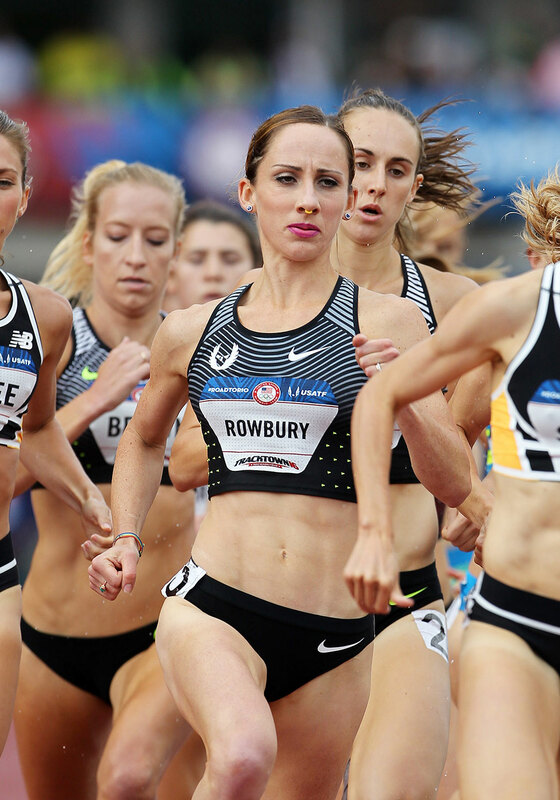 Shannon Rowbury qualified for this year’s Rio Olympics with a neon septum piercing and hot pink lipstick. 7. Speaking of gymnasts who rock beauty like they’re about to go to the best dance club in the world, Marta Pihan-Kulesza, accessorised her braids to absolute perfection with a dusting of silvery blue glitter. On fleek!